Engage chair Gerry Proctor went to speak with this group of enthusiastic and keen young people during their recent workshops held to introduce them to the many issues regarding heritage in the city. 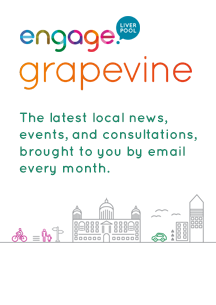 The Young Heritage Champions (YHC) project is being spearheaded by Liverpool City Council’s Mayoral Lead for Heritage, Cllr Alice Bennett who has recruited the young people from schools and youth groups. 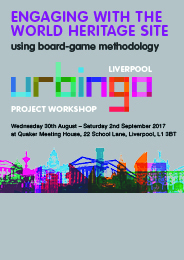 Gerry presented the young people with the prototype of the Urbingo project that Engage is developing to explore the World Heritage Site neighbourhoods of the waterfront and city centre. That first game is based around the Merchants Quarter – better known to us as Ropewalks – and was explained to the Heritage Champions. They were fascinated by the project and asked to become involved in designing the remaining elements of the game. Image from Liverpool Express: Lord Mayor of Liverpool Cllr Christine Banks welcomes the Young Heritage Champions to St George’s Hall. 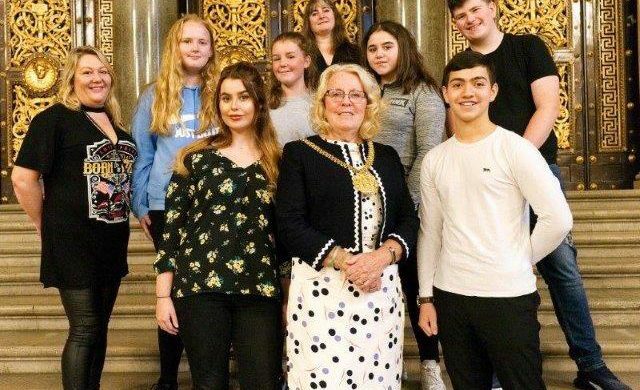 Pictured with the mayor are Youth worker Gill Deakin, Abbie Daniels, 13, Faith McCabe, 17, Lucy Nuttall, 14, Cllr Alice Bennett, Rebekka Hughes, 16, Daniel Hinnigan, 15, and Yaman Awaza, 15.